Depending on which state the claim is filed in, small claims court generally involves cases where the plaintiff is suing for $5,000 or less. Small claims cases can include suing for back rent, return of security deposit or down payment, payment for work provided, property damage, defective merchandise, or breach of written or verbal contract. By eliminating the use of a lawyer and jury and simplifying evidence requirements, small claims court provides a more efficient and less expensive way to file a claim. Some cases, such as malpractice or alimony and spousal support cases are excluded from small claims court, and some states have limitations of how often in a calendar year you are allowed to file claims. As with all legal proceedings, a case in small claims court begins with filling out the proper paperwork. What are Small Claims Forms? Small claims forms are the legal documents used to initiate the court process. This paperwork, known as a Plaintiff’s Claim Form, is filled out by the person who is suing the defendant. This form states the name of the defendant, the reason they are suing, and what amount they are suing the defendant for. If the defendant chooses to counter-sue, they will fill out and file a Defendant Claim Form. Other documents, including subpoenas for related documents and the appearance of individuals related to the case, may also be used. If the plaintiff or defendant consists of more than one person, an Other Plaintiffs or Defendants Form will be filed. To initiate the process, the Plaintiff’s Claim Form will be served to the defendant, and a proof of service form must be filed as evidence that the paperwork was legally served. Why do I need to get small claims forms served? In order to begin the legal process, the defendant must notified that he or she is being sued. 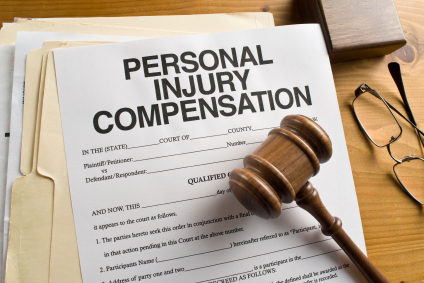 In small claims cases, this means they must be served a copy of the Plaintiff’s Claim Form. As a party to the case, the plaintiff, along with his or her relatives, cannot legally serve the paperwork to the defendant, so it is best to turn to a professional process server to help. How can a process server help me get my small claims forms served? Because the laws and guidelines of how papers can be legally served vary from state to state, it is in the best interest of your case to trust a professional process server with your Plaintiff’s Claim Form. If the service of process violates any laws it can jeopardize the integrity of your case, and can even lead to dismissal. A professional process server will be educated in the laws of your area, and because they are trained in finding individuals who are difficult to locate, trusting a professional with your paperwork is the easiest way to ensure your claim gets filed quickly and legally. After the Plaintiff’s Claim Form has been served, the process server will file an Affidavit of Service with the court. With legal proof that the defendant was served, a court hearing will then be scheduled. ServeNow is the fastest way for you to find a local, pre-screened process server. Search by the location where you need papers served and you’ll find only trusted process servers who have been pre-screened and vetted.